This evidence-based, standards-correlated (including STEM), grade-specific kit is designed to be a shared and reusable resource. The arrangement of materials offers a whole child approach for your wellness initiative while providing easy-to-use resources for teachers while keeping students on task academically. Educational reinforcements provide an important channel for learning and retaining healthy lifestyle behavior lessons. Up to 40% quantity discounts available. 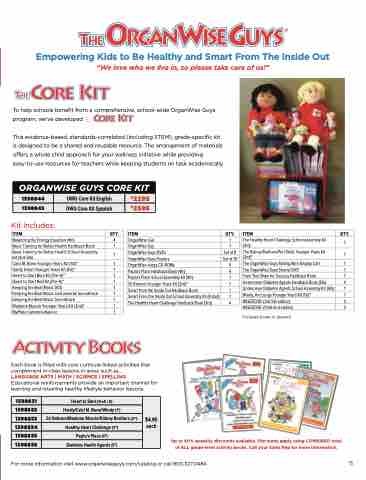 Discounts apply using COMBINED total of ALL grade-level activity books. Call your Sales Rep for more information.